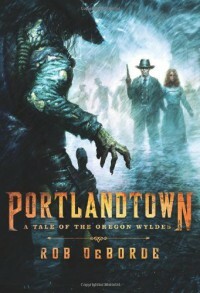 Portlandtown: A Tale of the Oregon Wyldes - Rob DeBorde - review - So Many Books...So Little Time! This was really fun! A mixture of western and the supernatural, and yes, zombies! I really hope this will be a series about the Oregon Wyldes and their friends and family. The world is interesting and I'm sure people from Portland will enjoy it simply for the setting. If you like genre-bending and enjoy westerns and zombies, give this one a go, you will like it!